Have an idea for a design but need help bringing your vision to reality? 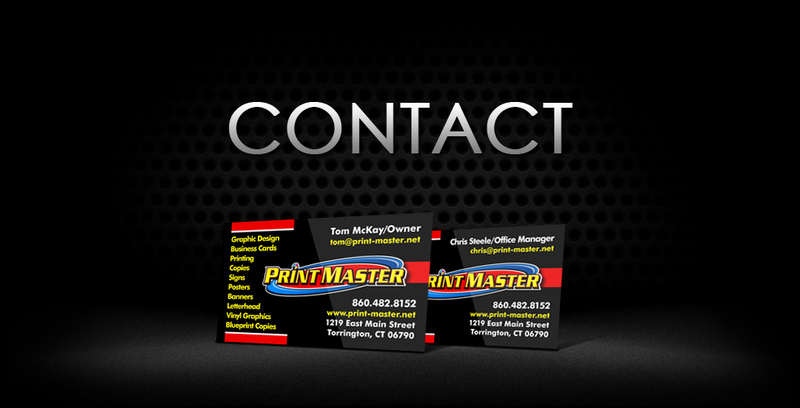 Give Print Master a call or stop in our Torrington office and we can work with you to make the best impression possible! We're here and ready to help when you need custom printing, copying, and signage.